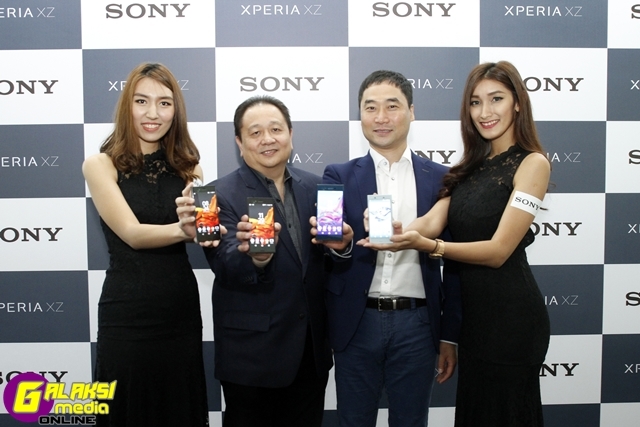 Kuala Lumpur, 30 September 2016 – Sony Mobile Communications (“Sony Mobile”) today announced two additions to its new X series smartphones. Continuing the vision set out at MWC in February, the flagship Xperia XZ and premium Xperia X Compact offer an even more intelligent, personalised experience. “With Xperia, we want to assist you when and where it matters most, making your everyday life more convenient, more effortless, more spontaneous,” said Andrew Cheong, Country Director (Malaysia) at Sony Mobile. “With Xperia XZ and Xperia X Compact, you can capture every moment as you see it, with blur-free images day or night, and with true to life colours thanks to our new triple image sensing technology,” he added. The launch of the two new additions to Xperia X series sees Sony Mobile extending the partnership with online marketplace, 11street. With an exclusive pre-order opportunity with 11street, customers can now place their order beginning today until 4th October to be the first few to own the Xperia XZ. 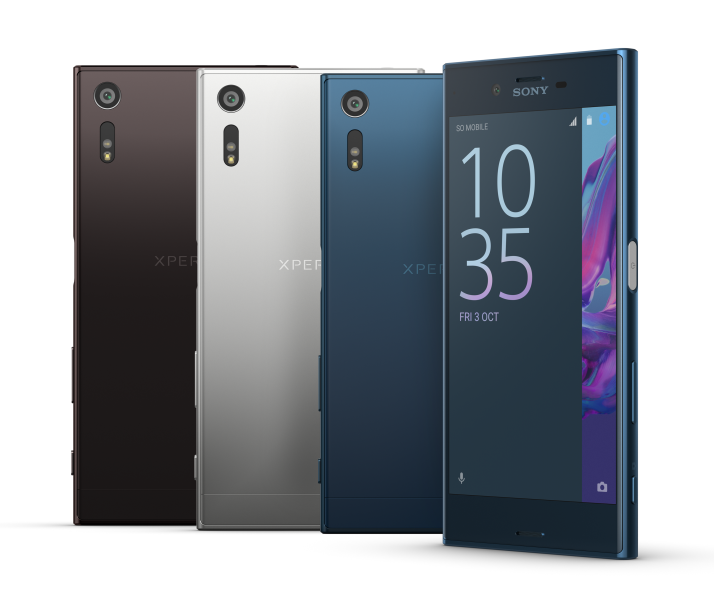 “This partnership with Sony to offer our shoppers with the chance to pre-order its flagship phone – the Xperia XZ – could not have come at a better time, as electronics and gadgets remain one of the top items consumers buy from 11street. As one of Malaysia’s leading online marketplaces, we strive to not only enable consumers to find what they love on 11street, but also offer them exclusive, new-to-market and popular products,” says Bruce Lim, VP of Merchandising, 11street. Sony’s first flagship of the X series, Xperia XZ, and premium Xperia X Compact bring new and improved camera technology to give the best pictures from Xperia yet. Maximising Sony’s acclaimed image sensor, two additional assisting sensors have been added to make Sony’s triple image sensing technology. This allows you to capture beautiful images in motion with true to life colours in virtually any condition. The technology includes Sony’s original Exmor RS™ for mobile image sensor which provides a powerful blend of high quality image and autofocus (AF) speed combined with Predictive Hybrid AF to intelligently predict and track subjects in motion for blur-free results. Added to this is the Laser AF sensor with distance sensing technology which captures beautiful blur-free photos in challenging low light conditions. And what’s more, you will enjoy superb true to life colours thanks to the RGBC-IR[i] sensor with colour sensing technology which accurately adjusts the white balance based on the light source in the environment. The 23MP main camera not only gives you clear shots, but also super-fast start-up going from standby to capture in 0.6seconds[ii] at the touch of a dedicated shutter release button. Advanced features have been added for those who want more flexibility with manual settings to further enhance the shooting experience and creative possibilities, such as shutter speed and focus controls. With videos being ever more popular for capturing and sharing unique moments on social media, both models bring significant advancements in the evolution of image stabilisation, cultivated in Sony’s Handycam® camcorders, with Sony’s SteadyShot™ with Intelligent Active Mode to enable superb video recording. Now with 5-axis stabilization, you can shoot smoother videos[iii] even when walking or capturing extreme close-ups[iv]. Xperia XZ provides a 13MP front camera for the selfie perfectionist, with its super high sensitivity as high as ISO6400 and 24mm wide angle lens it will make the best of your pose even in low-light and group selfies. Xperia XZ also offers the highest quality recording in 4k so you get sharp, crisp footage that is full of detail. With its stunning loop surface design, the 5.2” glass display and metal back of the Xperia XZ become one, to provide a perfect fit and beautiful feel in the hand. The loop surface is inspired by a monolithic form, whilst ALKALEIDO™ metal with high brightness and high purity provides shine and a feeling of depth which both enhance its premium design. 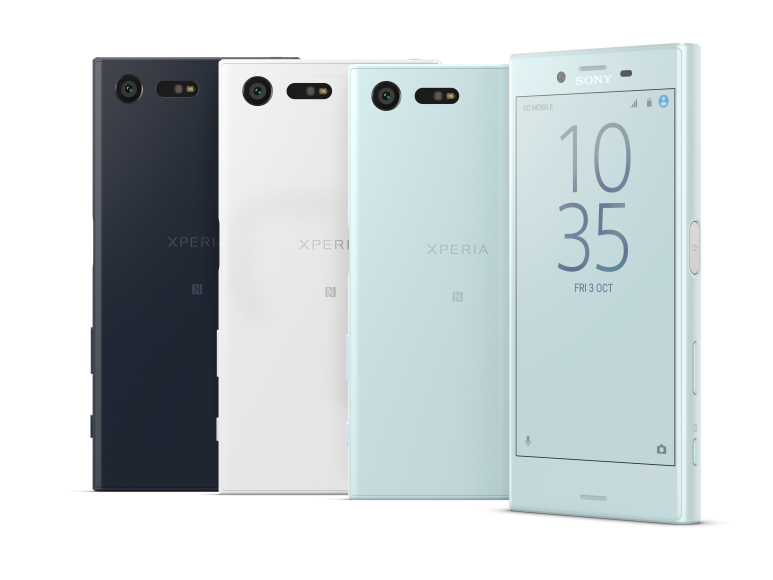 Xperia XZ is available in a brand new blue colour inspired by the beauty of nature – Forest Blue – along with stylish classics, Mineral Black and Platinum. Sony’s expertise in functional design is carried through to the Xperia XZ with a water resistant[v] design to take the worry out of a little splash of water. In addition, the fingerprint sensor power button[vi] on Xperia XZ and Xperia X Compact is intuitively placed on the side of the phone, so you’re able to pick up and securely unlock in a single movement and adds to the comfortable fit in the hand. Xperia XZ is driven by its Qualcomm® Snapdragon™ 820 processor to provide a seamless experience on your phone. As one of the most cutting-edge mobile processors ever created, the Snapdragon 820 processor with X12 LTE supports the ultimate in connectivity, graphics, photography, power and battery efficiency. In addition, customers who place their orders on 11street during the pre-order period will receive complimentary gifts such as the Sony Bluetooth Headset, screen protector for Curve Display, back casing and an OTG 3.0 64GB Type C Connector worth up to RM600. “At the same time, we are excited to reveal that a few lucky shoppers will even stand the chance to bring home some extra goodies, so do keep checking in to 11street for more information,” Lim added. Furthermore, 11street customers who participate in a lucky draw will stand a chance to bring home a Cristiano Ronaldo Signed and Framed Real Madrid 2015-2016 jersey worth RM 3,000. · Front camera : 13 MP, 1/3.06” Exmor RS™ for mobile image sensor, Quick Launch and Capture, Low-light photo: up to ISO 6400, 22mm wide-angle lens F2.0, SteadyShot™ with Intelligent Active Mode (5-axis stabilisation) and Full HD Video. · Network : LTE (4G) Cat 9, UMTS HSPA+ (3G), GSM GPRS/EDGE (2G), 800 (Band VI), 800 (Band XIX), 850 (Band V), 900 (Band VIII), 1700 (Band IV), 1900 (Band II), 2100 (Band I) MHz, GSM GPRS/EDGE 850, 900, 1800, 1900 MHz, LTE (Bands 1,2,3,4,5,7,8,12,13,17,19,20,26,28,29,32,38,39,40,41), WLAN, 2.4G/5G and NFC.